No Accidents! 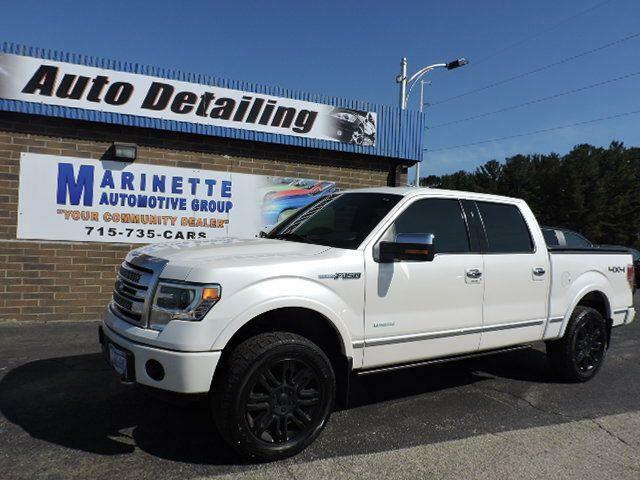 PLATINUM**3.5 ECOBOOST**REMOTE START**BACK UP CAMERA**NAVIGATION**LEATHER SEATS**HEATED FRONT SEATS**COOLED FRONT SEATS**POWER DRIVER AND PASSENGER FRONT SEATS**BLUETOOTH**SONY STEREO**CD PLAYER**POWER TILT AND TELESCOPING STEERING WHEEL**POWER FOLDING MIRRORS**FOG LIGHTS**BED LINER**TONNEAU COVER**TOWING PACKAGE**ELECTRIC TRAILER BRAKE CONTROLLER Marinette Automotive Group is locally owned and operated in the heart of Marinette, Wisconsin. Our goal is to find you the vehicle you want at the right price, even if it's not on our lot. We specialize in locating vehicles that meet your requirements. All of our vehicles go through an extensive third party mechanical inspection performed by certified mechanics. Here at Marinette Automotive Group we strive to build lasting relationships with our customers. Stop in and let us help you find your new vehicle today!